Freediving NZ Depth Nationals will be held off Motutere, Taupo from Thursday 15 March 2018 – Saturday 18 March 2018. The competition will comprise three sessions over three days. For each session, competitors can nominate any of the three AIDA depth competition disciplines. Disciplines can be repeated, although final ranking will only take into consideration the best result in each discipline. As this is our national championship, competitors are encouraged to take part in all disciplines and challenge for the final ranking. There will be a recreation grade available for those new to competitive freediving. Divers in the recreation grade will compete in the same disciplines, but with relaxed rules and against other recreation grade divers. 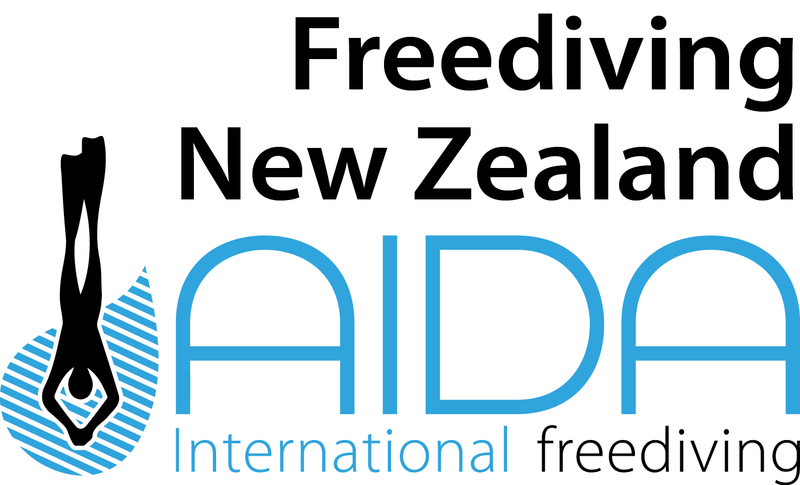 These dives will not be eligible for international ranking, but will appear on the Freediving New Zealand Recreational Grade Ranking on the Freediving New Zealand website. Lake Taupo is a 186m deep caldera, situated 350m above sea level in the middle of the North Island of New Zealand. It has reasonably clear fresh water, generally with around 15m of visibility. The surface temperature will be around 19 degrees, but there are a number of thermoclines as you get deeper. The shallowest is usually between 12 and 20 metres deep and tends to be a 2-4 degree drop in temperature. The second tends to sit around 30-40m and is usually more noticeable, dropping the water to ten degrees or less. If you find a deeper thermocline, chances are you’re having a pretty good day already. For depths of 90m or less, we will anchor the competition boat in the lee of Motutaiko Island, where we will be sheltered from all but the worst weather. For depths greater than 90m (120m competition depth limit, weather dependent), we will have to venture further afield from shelter, making these depths weather dependent. The competition platform will include a counterbalance setup and sonar to keep track of divers when they are below. There will be at least two safety divers for every dive. We will have a fully qualified medic on the boat at all times and oxygen, both for emergencies and DCS prevention in accordance to AIDA recommendations where required. For accommodation, we launch from the Motutere Bay Holiday Camp, where you can hire cabins or bring a tent depending on your budget and preference. They can be contacted on: 07 386 8963. There is also accommodation at Motuapa, which is halfway between the Official’s House and the boat ramp, and several AirBnB and BookaBach offerings in the area which can work as a base camp with the quiet, hot showers and beds. We will be launching the boats from their boat ramp at Motutere Bay Holiday Camp. The officials will be based in Turangi at the Officials’ House which is where competitors’ briefings will be held each day, so bear this in mind if you wish to stay somewhere else. The Officials’ House address is 17 Puataata Road, Turangi, and it is approximately a 15 minute drive to the boat ramp. Entries will be done online only. If for some reason you can’t fill the form out, contact a friend or the organisers to do so on your behalf. Entries must be submitted by midnight Tuesday 13th March at the latest. The liability release and medical statement islinked to below so you can read it ahead of time. If you answer YES to any questions on the medical statement, you will need a medical certificate even if you are competing in the recreation grade. The medical certificate application can be found here and must be signed by a doctor. Competition fees will be: Whole competition – $100 for competition divers and $40 for recreation grade divers. One Day entry – $50 for competition divers and $20 for recreation grade divers. The competition fee covers boat, fuel and equipment use, competition costs, AIDA International competition fees and other competition requirements. Please reference your name and “Depth Nats 2018”. If you cannot do a bank transfer or fail to transfer before the close of entries, you will need to provide cash at the time of registration for the competition. In addition to the entry fee, divers must be current members of members of Auckland Freediving Club, Breathtakers Freediving Club, Waikato Freediving Club, Queenstown Freediving Club or the Lazy Seal Freediving Club. Please reference your name and “subs”. If you cannot do a transfer, please bring cash to the registration that is being held directly after the competitors’ briefing at 8:00am on the 15th March.